Rosy’s online salon website builder fits any skill level with simple drag and drop features, and comes with Rosy integration so clients can book appointments on your site. You can fully customize a branded website of any size by choosing from one of our templates with endless color schemes and create your own unique look. Add slideshows, videos, pricing information, social links, an integrated blog, you name it! 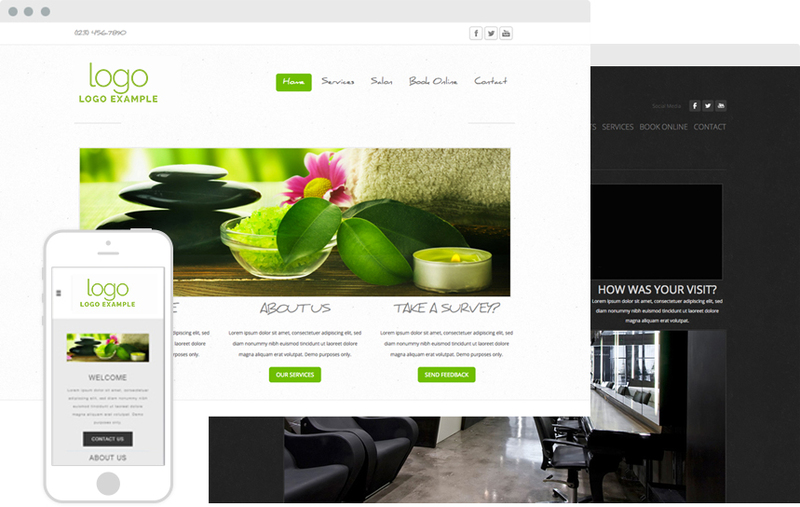 With the Rosy salon website builder, your site will look beautiful on any mobile device, tablet, or computer. Select a template to start with. Templates can be changed later in the website editor. Many more themes will be available once you get started. Click here to view templates.